La’Porsha Renae and Trent Harmon duets ‘See You Again’ by Wiz Khalifa and Charlie Puth on American Idol Live Show, Thursday, March 10, 2016. “It was the perfect song. It played to both of your strength individually. I love it, it was collaborative, it was great,” said Keith Urban. “What a pair you guys made. The whole thing is magical. What a great way t start the show, ” said Jennifer Lopez. 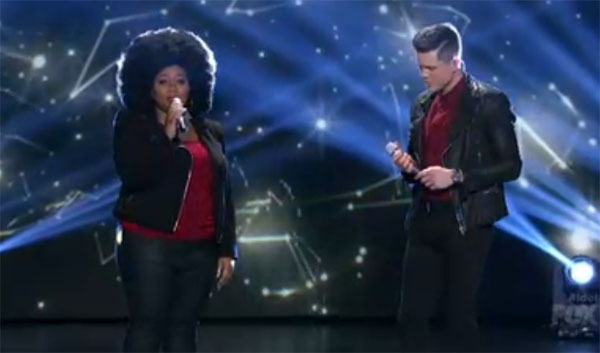 “Your voices blended so well,” said Harry Connick Jr.
We'll definitely see La'Porsha Renae and Trent Harmon Music again after that incredible duet! What can you say about La’Porsha Renae and Trent Harmon version of the song? Share thoughts on the discussion box below.